Does This Star Wars Episode 7 Photo Reveal The New TIE Fighter Design? In the world of science fiction, there are very few spacecrafts that have as many variants and redesigns as the TIE Fighter. There are tons of versions of Sienar Fleet Systems' "Twin Ion Engine" craft, and all have been flown by various pilots and divisions serving the once proud and mighty Galactic Empire. So thirty or so years after the Empire's supposed demise, you would think that production might have slowed, and the Imperial Fleet ran out of new toys to run amok with. Well if this photo that's landed on the internet is any indication, they've been saving the best model for last. 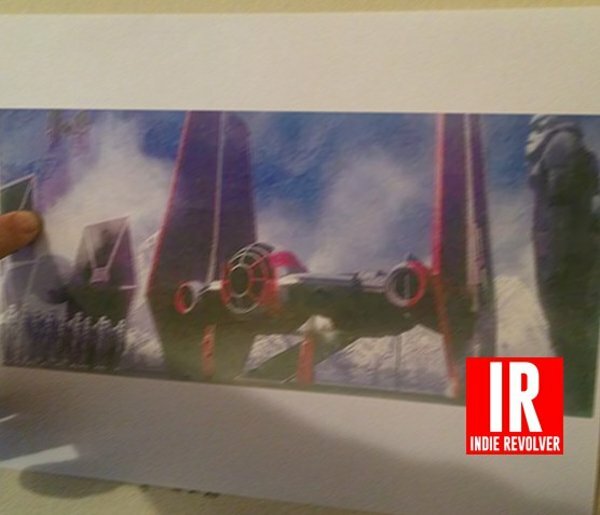 News site Indie Revolver just ran the above concept art photo, which claims to be a new model of TIE Fighter that will be used in Star Wars: The Force Awakens. And the design is pretty damn badass. As you'll notice, the traditional, eyeball resembling cockpit rests lower between the wings of the new craft. On top of that, the wings are re-shaped, with a wide base on the bottom in the cockpit region and the top of the wings narrowing to a sort of tip. While there's no documented purpose for such a design, it looks like this sort of TIE Fighter is designed to possibly link up to another ship, as well as distract enemy fighters by giving them a nice, big gap to shoot and miss their target. Though, to be fair, this looks more like a ship that can fight if it has to, as opposed to being designed primarily for combat. The design is weird, but it looks strategically weird. 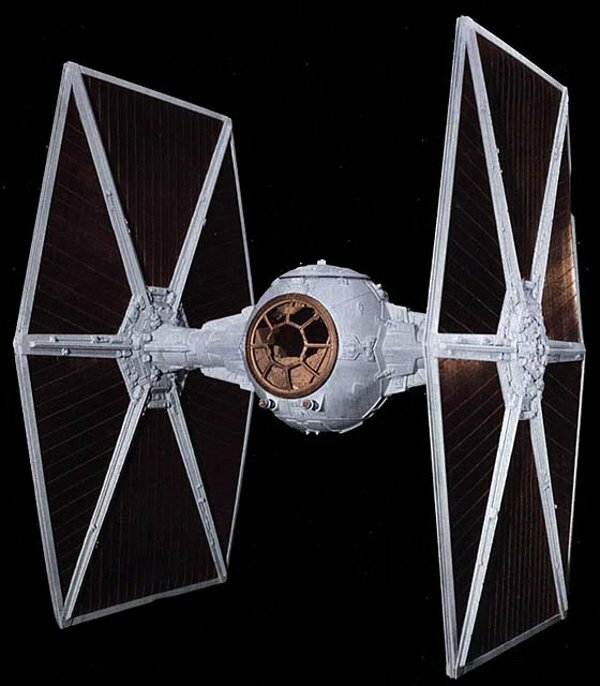 For reference, have a look at the traditional TIE Fighter below. So just who is tooling around the galaxy in this new, intimidating TIE Fighter design? Well, according to Indie Revolver, this model has been labeled as "TIE Fighter – Special Forces," and their hunch is that none other than Gwendolyn Christie's Imperial officer will be riding around in this beauty. With a gangplank that looks reminiscent to the Imperial Shuttles in Return Of The Jedi, they seem to think that there will be at least a couple of Imperial Guards accompanying her, which if true means that Christie is part of the Empire's crème de la crème. In fact, you can see them standing at the end of the plank, waiting for their dignitary to disembark. Function and purpose aside, how does this new craft to Star Wars: The Force Awakens look on the whole? Frankly, it's pretty awesome. The concept art we've been seeing out of J.J. Abrams' new take on Star Wars looks beautiful and slick, but at the same time very much at home in the universe that thirty years prior gave us X-Wings and Landspeeders. It's a special honor to see something so forward, but reverent of the past that it works. Let's just hope there's more surprises around the bend, and no Jar Jar-esque reveals waiting for us. Star Wars: The Force Awakens takes to the stars on December 18th, 2015. In the meantime, you should comb through Indie Revolver for more scoops on what's new in the galaxy far, far away that is Star Wars.